The Case Of Charles Dexter Ward was originally a short horror story written in 1927 but unfortunately was never published during H.P. Lovecraft's lifetime. It did eventually surface in an abridged form in two issues of the Weird Tales magazine in 1941. It wouldn't be until 1943 that the full story would receive its first full printing in Arkham House's Beyond the Wall of Sleep collection. Now we have a graphic novel released by SelfMadeHero and much like At The Mountains Of Madness, I.N.J. Culbard was on board to bring to life this intriguing story of discovery. This is also the first story to mention the Cthulhu Mythos entity Yog-Sothoth, a terrifying looking creature that sees all and knows all. The story focuses on the title character Charles Dexter Ward who as a young man becomes becomes fascinated by the history of his wizard ancestor Joseph Curwen, who gained notoriety for haunting graveyards. As his fascination with his ancestor grows he attempts to duplicate Curwen's cabbalistic and alchemical feats, which unfortunately leads him to being incarcerated in a mental asylum though later his cell is found dusty and more importantly Ward is missing. The bulk of the story is told like an investigation by the family doctor Marinus Bicknell Willett. As he uncovers more about Ward's changes he discovers that Curwen has an even darker life then he first thought and somehow has returned to this world. This is a fascinating story that is primarily a detective piece but also has elements of horror as you would expect from Lovecraft. Culbard brings to life this story in his own way so the characters may not look like what you may have imagined to be like if you have ever read the story in its previous form. Turning such a wordy story into a graphic novel could have been no easy task, but Culbard has pulled it off giving you all the essential details you would need to make this a chilling and intriguing read. The story itself has previously been made into films most notably by Roger Corman who filmed a loose adaptation of the story titled THE HAUNTED PALACE starring Vincent Price and Lon Chaney, Jr. Dan O'Bannon filmed a more faithful adaptation of the story in 1992 called THE RESURRECTED starring John Terry and Chris Sarandon. It will be hard for anyone to capture the mood of a Lovecraft story perfectly be it in film, comic or other art forms but it is safe to say that I.N.J. Culbard adaptations of H.P. Lovecraft stories are probably the closest we will ever get into the mind of the creator of Cthulhu. 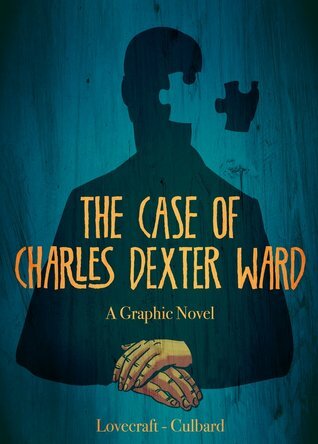 The Case Of Charles Dexter Ward - A Graphic Novel is published by SelfMadeHero and is out now. (144 pages, colour. Available in paperback).